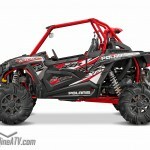 People say that “What happens in Vegas, stays in Vegas,” but in the case of Polaris and their 2016 line up of ATV and SxS vehicles, that is just not the case. 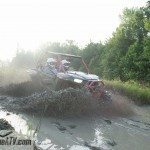 This specifically applies to the debut of Polaris’ HighLifter Edition ATVs and SxSs for 2016 where Polaris has taken its alliance with the powerhouse mud company Highlifter Products to new levels. 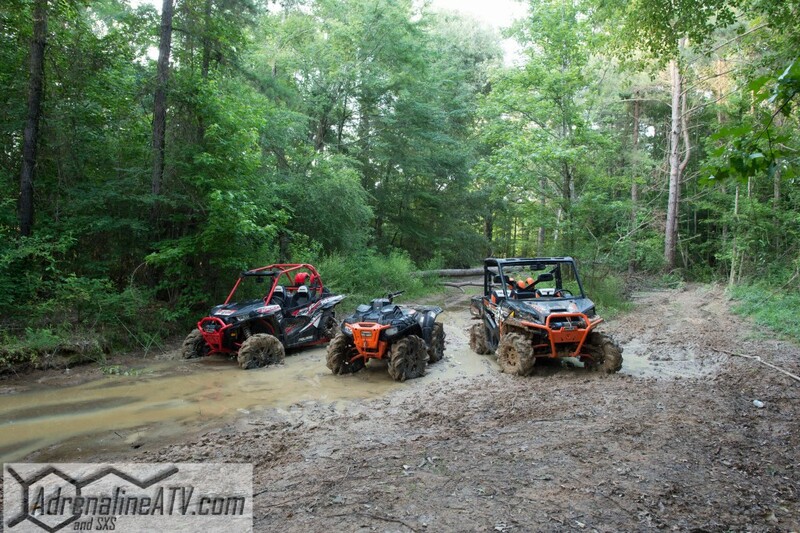 With the success of the RZR XP 1000 Highlifter Edition in 2015, Polaris decided to add three additional units that cater to the increasingly popular mud enthusiasts. 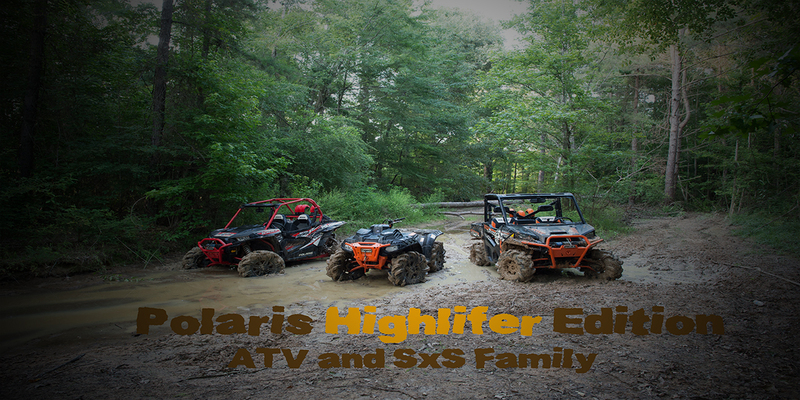 In front of thousands of its dealers, Polaris rolled out the Stealth Black RANGER XP 900 EPS HighLifter Edition, Orange Madness Sportsman 850 HighLifter Edition and Stealth Black Sportsman XP 1000 HighLifter Edition models. 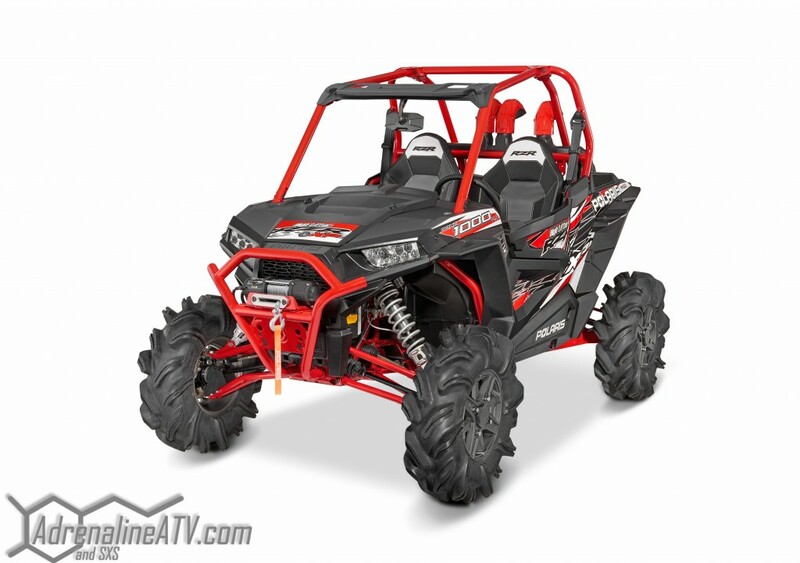 For 2016 the RZR XP 1000 HighLifter Edition comes in a sharp Titanium Matte Metallic body with a Indy Red powder coated cage and HighLifter Edition graphics package to match. 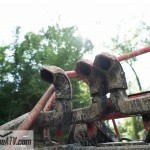 Just like all the XP RZR family this unit features a dual A-arm front end and trailing arm suspension but since it is a HighLifter Edition, a set of their high clearance A-arms are installed up front and the durable high clearance radius rods in the rear from the factory. 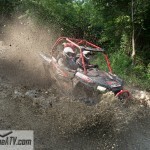 This gives the RZR optimum clearance with excellent handling characteristics. 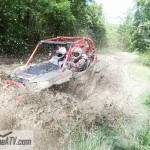 Other featured items on the RZR are a color matched front bumper complete with factory installed 4,500 lb winch with synthetic rope and HighLifters signature 29.5″ Outlaw II tires mounted on cast aluminum wheels. 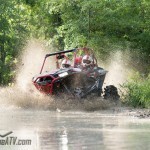 To ensure that drivers and passengers alike aren’t stranded in the swamps, the HighLifter Edition RZR features the proven 110HP ProStar 1000cc EFI engine mated to a high performance PVT transmission that has been outfitted with lower gearing, stronger reverse chain and stronger half-shafts to meet the demands of thick mud. With the price tag of $23,499, there isn’t much more that you’ll need to add to this machine in order to fly through any mud hole you see. Previous Cognito Motorsport’s Justin Lambert Wins Longest Race in the U.S.